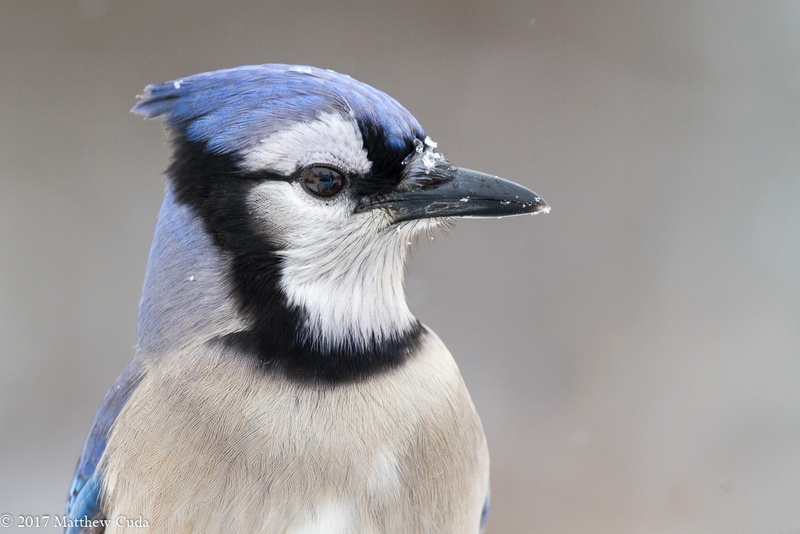 From the time we first pick up a camera, we are told to always photograph in the golden hours, but is that really the best time to photograph birds? Of course this is very subjective, but for me the answer is: it depends. As it turns out there are actually very valid reasons for photographing anything in early morning and late afternoon. First, this type of lighting produced warmth in the image. Often you have a reddish-orange to yellow tint to your image. This, I think, gives the viewer the "warm fuzzies" if you will. Next, the light is lower to the horizon. This produces various effects depending on pollution in the atmosphere and so forth, but also gives us long shadows from the softer lower lighting. I think the first and most important question you have to ask yourself is, "who is the viewer?" Who is going to, in the end, view your image. If, for example, the end customers or viewers are going to be scientific, then you certainly wouldn't want the yellow-orange cast to your image. This could interfere with the true color of the subject. In this case you would want a color temperature closer to white light. However, if you are looking to entertain the bird watching community with interesting lighting then you might want the softer side of the light and subject to shine through. In this case go for the more interesting orange and yellow light. 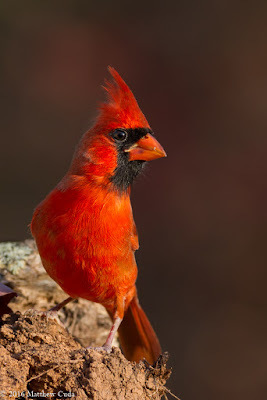 Below is an image of a northern cardinal photographed in late evening light. Notice how the orange of the sun is interfering with the red color of the feathers. There is nothing inherently wrong with this approach and offers the user a much more artistic type of image to look at. The next image demonstrates how to shoot with more natural color. If you are ever in doubt on color temperature, I recommend shooting under cloudy, and bright conditions. Below, I show a blue jay in his natural coloration. It was shot on a bright, overcast day. In the end is is all a matter of personal preference, but do consider your target audience when making these decisions in the field. Also, you can adjust color temperature in post production, but I like to get as much right in camera as possible. Which type of image do you like and why? The world is overflowing with photography books, websites, magazines and blogs. At times I am on information overload by all the details and different positions on what this whole photography thing is all about. 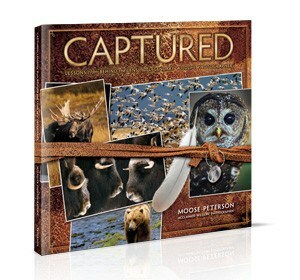 Having been schooled in photojournalism, and actively involved in photography for 15 years, I did not hold out much hope for fresh ideas in Moose Peterson's latest book: "Captured: Lessons from Behind the Lens of a Legendary Wildlife Photographer." Captured is a paperback 396 page book published by Kelby One, a well known, established business known mostly for its online training for creatives. This book did not disappoint me as it offered a fresh perspective on wildlife photography and photography in general. You will not find long, detailed explanations on how to calculate exposure or operate your camera. Captured, does get into technical details from time to time, but to me it is more about Moose himself and what it took to get where he is today. It is an autobiographical view that takes the reader on a journey from humble beginnings to being a well known and respected wildlife photographer. I wanted to focus a bit on the "humble beginnings" and how Moose started his career. As you know, photography is not a cheap career to get into, and Moose does a wonderful job relating that to the reader. He talks about how he started out with shorter lenses and had to work at a local camera shop to make ends meet. How he later worked for a "pro" photographer who told him he would not ever be a good photographer, and should stick to wood working. This portion of the book meant a great deal to me as this is how I started out, and how I am sure many of you did, or are doing now. I could really read between the lines and get a feel for the sacrifice he and his wife made early on in his career. As for his less than inspiring boss, I think we can all relate to someone who has tried to block us from our dreams and run us down whenever possible. I still deal with the naysayers and dream killers on a daily basis and if anyone reading this ventures into any creative fields you will see the same. You have to keep moving forward and keep living the dream. As Captured continues, we follow Moose on various life changing assignments, and how he worked for biologists in the field, and how he used those contacts and knowledge gained to better his career. Moose also shows the reader just how much he cares for the wildlife by helping biologists photograph animals near extinction, and show their plight to the world. Some even credit him with the saving of some species completely. The book does go into detail about each of the life altering shoots that Moose was a part of, and how he photographed each subject on those adventures. So for those wanting technology and technique you have come to the right place. 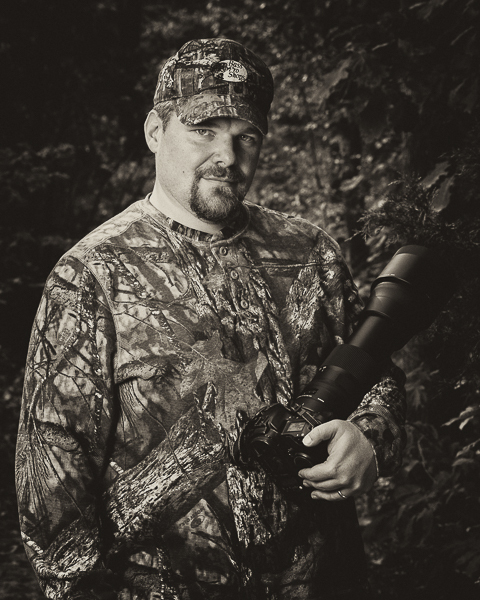 The book discusses such topics as how Moose used flash to capture nighttime animals, and what lenses he favors under certain conditions. Finally, I like the way Moose weaves his family into the book. He shows how his wife and kids were instrumental in his career. Specifically, how Sharon was so effective at keeping the business side of his career in shape, while he was off on shoots or in the early days, working a second job. As far as the layout of Captured, it is filled with color images taken throughout Moose's photography career. Images from the early film days right up to 2010. I did find many of the images to have a muddy look, but that is likely due to printing error and choice of paper rather than poor photography. You would have to use extremely high quality paper to get magnificent results, and the book would have cost a fortune to create. Additionally, the book is full of pull quotes and blurbs offering the reader a good bit of Moose wisdom on each page. I did find the size of the book a bit awkward. For example, trying to drink my coffee and hold the book on my lap while turning pages was a trick for sure. I recommend a nice table for reading this book. Although Moose and I have differing styles and different brand cameras (a joke of course), that didn't stop me from enjoying this book. This is a book that any veteran or aspiring wildlife photographer should own as it shows one man's passion, and how that passion and the animals he photographs captured his heart. Whether you photograph scenics, macro or wildlife, the winter can be a tough environment on your body. The hands and face seem to take the brunt of the cold, and are the first to feel the cold. It seems I am always on a quest for the perfect pair of gloves that give me the touch I need for operating my camera and the warmth to keep out the cold. 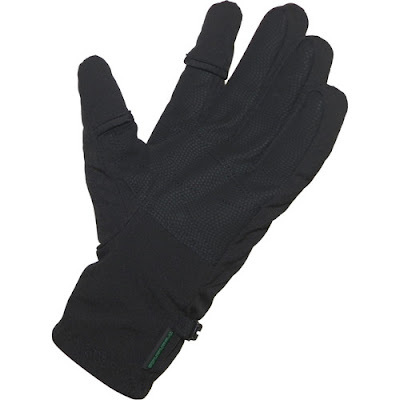 I have tried deerskin gloves, synthetic snow gloves and lightweight fingerless gloves. They have all had pros and cons, but how do the Freehand gloves compare? I purchased my Freehands Photo Gloves (large) from Amazon for $31.95 (US dollars) plus shipping. The gloves operate differently from other gloves in that the ends of index fingers and the thumbs can be pulled back so your bare fingers can easily operate the controls on your camera. When you are done changing the settings you can replace the flap leaving your fingers warmer than say fingerless gloves. I find this concept to be great in theory, but frankly I found them a bit clunky to use. When both hands are gloved I found it less than quick to open the flaps on the finger and thumb. It does work, but just not as quickly as I would like. Next, the product uses something called "thinsulate" by 3M which is supposed to make thinner material warmer. I found the gloves to be adequately warm at 27 degrees fahrenheit, but my fingertips were still quite cold. I'd guess that about 40 degrees and the gloves would be quite warm. Below 40 and it's kind of a gamble. I would definitely take other gloves along with you if you feel it is going to be really cold. As far as comfort, I thought they were quite comfortable and I could operate the controls on the camera and controls in my car with relative ease even without pulling the flaps back. The construction is fine and I like the black color when shooting wildlife. Honestly, I would not buy these gloves if you need really cold weather gear. Odd since these are designed for cold weather. If you are the type who needs gloves in higher temperatures like the 40s then go for it. Otherwise save your money or maybe try some of the cross country skiing gloves. I have heard good things about them from Moose Peterson. In this Episode of Reviews from the Blind, I take a look at the Canon EOS R and if it can be used as a wildlife camera. Matt Cuda. Powered by Blogger. 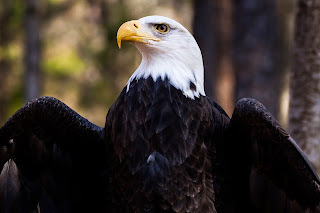 Copyright © 2018  Matt Cuda Nature Photography Blog. All Rights Reserved.